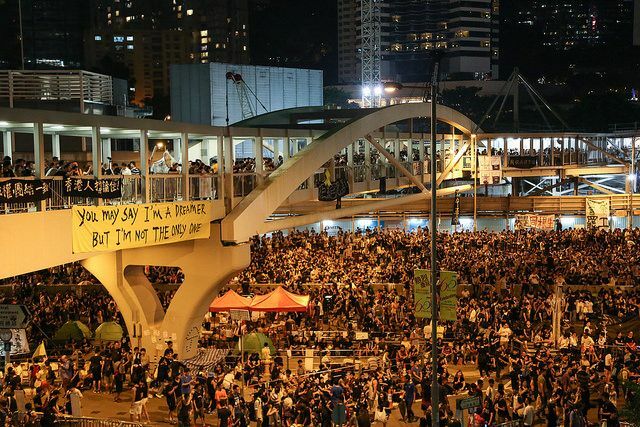 The pro-democracy protesters in the streets of Hong Kong, once again confront Beijing with the age-old conundrum of how to balance authoritarian control and the demands of a complex modern society. For Beijing, this conundrum is particularly acute as the Communist Party has long lacked the ability to mobilise popular opinion after the discrediting of the mass, populist campaigns of the Maoist era. For Hong Kong, the conundrum offers another insight into the failure of its legislative council to adequately respond to pressing social issues and emerging threats to Hong Kong’s role as a gateway to China. Recent developments including Alibaba’s decision to launch its IPO in New York, uncertainty over the direction of political reforms and the emergence of new financial centres on the Chinese mainland have all cast doubt over Hong Kong’s future as a business and financial gateway to mainland China. On the surface these events might appear to signal the end of Hong Kong’s special advantage as a gateway to China. But despite this, its role as a globalising force for Chinese business and financial sectors has remained. Financial stability in the Special Administrative Region (SAR) remains a non-negotiable concept. Hong Kong successfully weathered one of the world’s worst financial crises and offers an interesting model for mainland China in addressing its own fragile and dysfunctional financial sector. And, as we have seen this week, the social challenges now facing Hong Kong which politicians have failed to address, including the widespread inequalities of wealth, provide a powerful forewarning to the mainland on the dangers such issues pose. 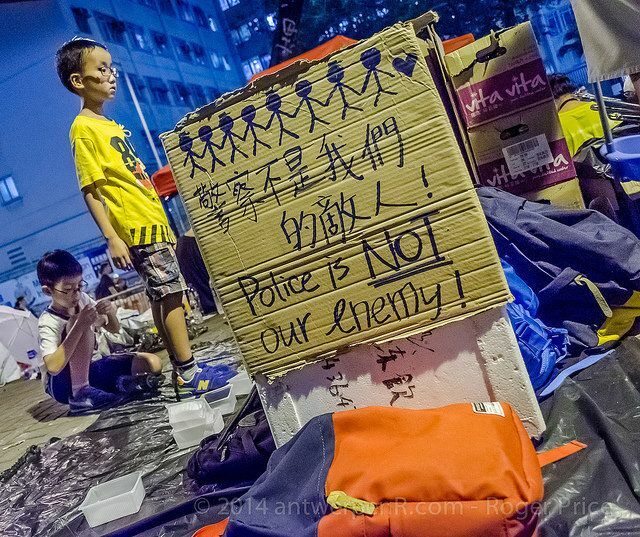 Threats to Hong Kong’s position are not new. During the Cold War era it was assumed that PRC’s intervention in the Korean War would spell an end of Hong Kong’s entrepôt status. 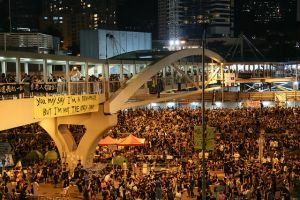 The subsequent embargo on US dollar transactions, which only ended in 1972, threatened Hong Kong’s free market, especially its involvement in the sterling trade. A succession of banking crises during the 1960s and the revelation of high levels of official corruption threatened its reputation as a financial centre. The relocation of HSBC to London in advance of the 1997 handover, despite the reassurances of Deng Xiaoping, also threatened to derail Hong Kong’s post-1997 future as a financial centre. 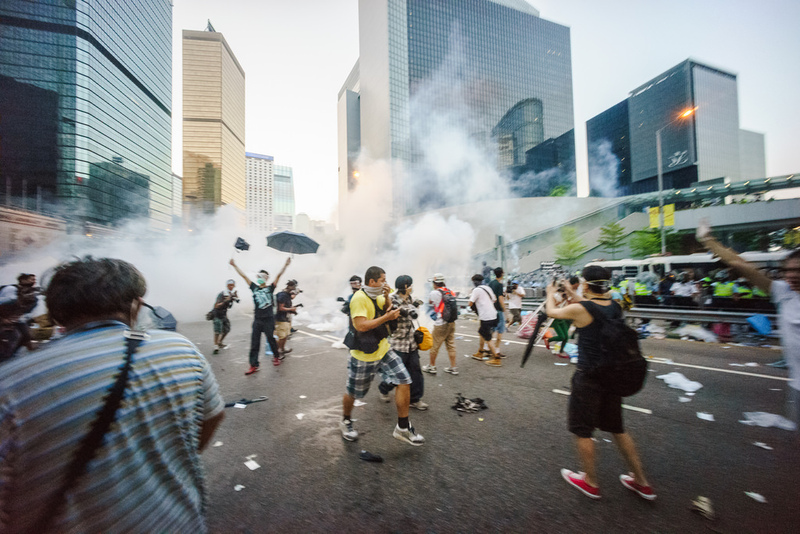 Yet Hong Kong has proved remarkably resilient in responding to these challenges. After the US embargo, Hong Kong’s free market emerged as one of the PRC’s only points of safe access to international markets. 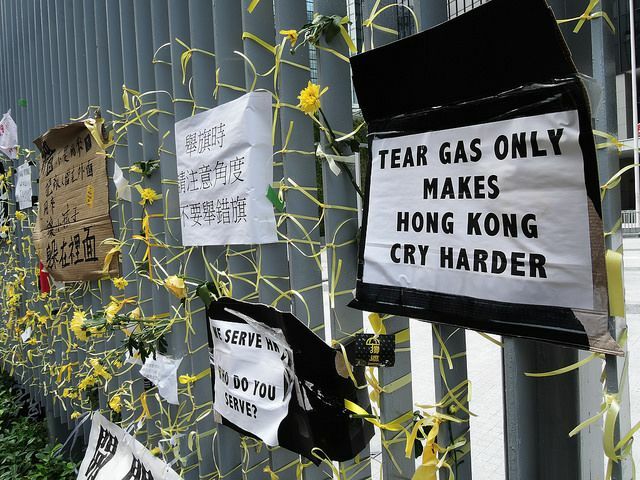 The public backlash against official corruption witnessed changes that saw Hong Kong emerge as a model of clean governance and business integrity in the region. During the 1970s, PRC banks in Hong Kong provided the first tentative efforts at promoting the Renminbi as currency of trade settlement, following the collapse of Bretton Woods. Since 1993 Hong Kong has been the destination of choice for the IPOs of some of China’s largest business and banks, including the IPO Agricultural Bank of China in 2010, which represented the world’s largest bank IPO. Against this, the development of free trade zones and financial centres in neighbouring Qianhai and in Shanghai has to date been disappointing. And while Guangdong’s GDP surpassed that of Hong Kong in 2003, this has not witnessed financial centres such as Qianhai moving up to displace Hong Kong. History indicates that the success of major financial centres such as London and New York was due to quality and liquidity. The slow pace of development in the Shanghai Free Trade Zone succinctly illustrate the both the caution of Chinese financial reforms and the time it will take to achieve full capital account convertibility, allowing capital to move freely in and out of mainland China. It is no accident that Hong Kong has provided the institutional interface for the internationalisation of the Renminbi. For these reasons, it is unsurprising that the Chinese leadership continue to view Hong Kong as vital to the development and prosperity of southern China and for advancing the country’s financial reforms. 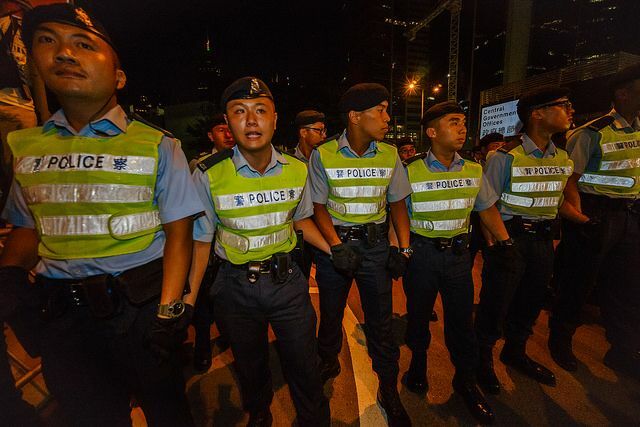 Perhaps more importantly, Hong Kong offers the mainland an alternative governance model to that of the Anglo-Saxon world. When it came to banking, Hong Kong did not play the Anglo-Saxon game, thus avoiding the worst excesses of the Anglo-Saxon model. This offers the Chinese leadership a powerful example of the value of strong prudential controls over bank behaviour. Similarly, allowing state enterprises to list shares on Hong Kong’s stock exchange has exposed these enterprises to international governance standards without relinquishing control. A recently announced pilot programme to connect the Hong Kong and Shanghai stock exchange offers an incremental and controlled way of reforming the Mainland’s capital markets. 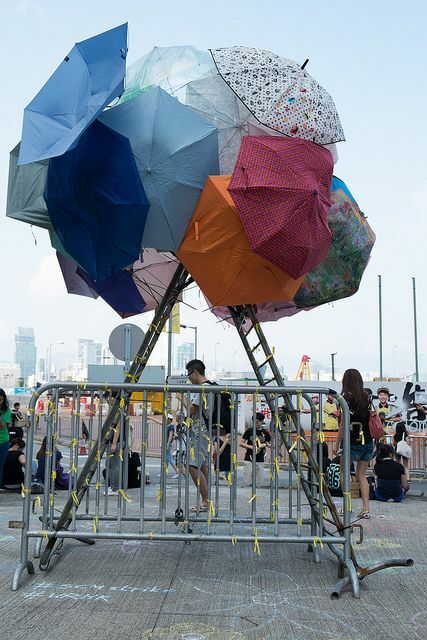 But Hong Kong’s development also offers cautionary lessons on the political and social dangers of tolerating widespread poverty alongside high levels of affluence. Hong Kong’s reluctance to address these issues and its apparent obsession with fiscal austerity despite having ample fiscal resources appears at odds with rising social expenditures and concern with for these issues on the mainland. Beijing’s role in the selection of political candidates may be the focus for now, but for Hong Kong a more pressing concern is how to maintain its reputation for business and financial probity and deal with the consequential domestic wealth inequality. Damian Tobin, Lecturer in Chinese Business and Management at SOAS, University of London, does not work for, consult to, own shares in or receive funding from any company or organisation that would benefit from this article, and has no relevant affiliations.